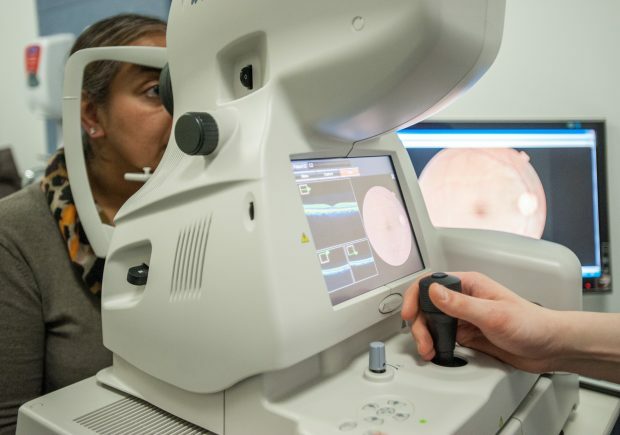 We have been doing a lot of work to improve the quality and consistency of grading in the NHS Diabetic Eye Screening Programme. This has meant changes to the test and training (TAT) system. Last year, we released the grading management reports to local programmes and the Screening Quality Assurance Service. These reports are based on the TAT results and use a traffic light flagging system to measure graders’ ability to identify sight-threatening diabetic retinopathy in the test. We require local programmes to deliver targeted training to flagged graders to restore them back to satisfactory working. To help with this, the TAT system now offers recovery test sets for graders who are red flagged in the reports. These extra sets help graders on recovery action plans to demonstrate their standard of grading in a timely manner without having to wait for the standard monthly test. This is important for ongoing programme service delivery. Full guidance on how to use the recovery test sets has been published on GOV.UK. Full guidance on how to access the test sets can found on the TAT website by clicking recovery sets under the information tab on the main screen. We have produced a short video to introduce the new grading management reports, how to access them and how to interpret the results locally. The video is available on the PHE Screening CPD website. It is aimed at screening staff, programme managers and commissioners to help them understand the new reports. The TAT system has also been upgraded. The new image viewer system is now available and ready for you to download and use. The image viewer boasts superior image manipulation and faster image uploads, which have been proved during the testing phase. The existing web viewer will be retired at the end of September 2016 and it is important that the new image viewer is downloaded to replace this. Local IT services may need to help with permissions requested during the installation process. Please follow the links to download the instructions which can be found on the TAT website. If you experience any technical problems, or have any queries on the use of the TAT system, please report them to Netsima which will resolve them as quickly as possible. For any other queries, please email the screening helpdesk phe.screeninghelpdesk@nhs.net.